Investing in Singapore can be very tricky, much like how it is like to live on this tiny island. Young people just have to look around and they will see burgeoning prices and scary inflation numbers. But how is it we can become part of the this growth? In the last 30 years, there has been no better growth story in Singapore other than its property market. 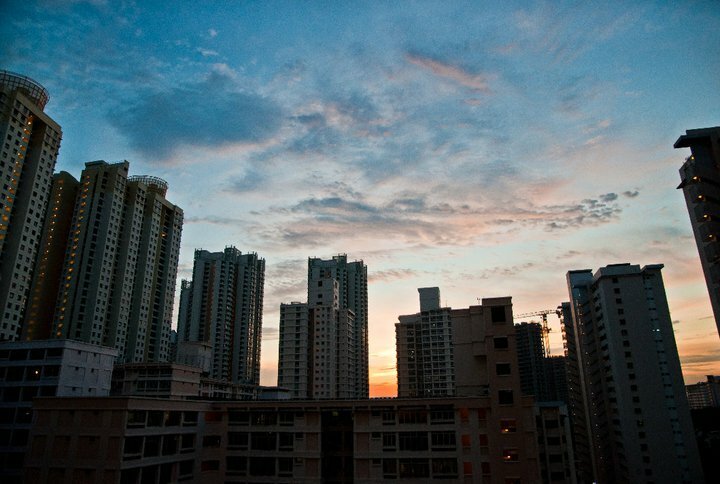 We’ve covered the essentials on how to buy a HDB flat and how to start off your family life. Its quite another story to investing in a property, you first need to not be poor. Or do you? At this juncture, I’m just going to consider buying a second property infeasible and just move into this thing called a REIT (Real Estate Investment Trust). As it’s name suggests, it’s a vehicle that invests in commercial properties, mostly, and leases these properties out for its income. How it works is simple, many small investors who can’t buy properties on their own, pool together their money and buy these big properties, and have a manager for this property business. In reality, however, it is the big investors pooling money to buy even bigger properties. But small investors can also pick up small amounts of stocks of these companies on the market. And that’s how you can buy into the booming property sector. What makes a REIT such a great vehicle to invest in is that is has to pay out 90% of its income as dividends to be considered a REIT, and enjoy the rebates on its taxable income amounting to its dividends payout. So most REITs pay more than 90% usually. So there is a fair bit of stability you can rely on when considering your investment decisions. Being in Singapore, REITs have enjoyed the increase in property values, rentals and its defensive stature. Counters such as Parkway Life REIT and FIRST REIT deal with medical properties in Singapore and overseas, they own hospitals and nursing homes and other medical facilities. They then rent out these facilities to one main operator and do not take on much of the burden of subleasing and ensuring all its units within the medical facility are rented out. It might all seem technical, but a quick read up is all it will take to familiarize yourself with it and if that’s not enough, let me just tell you that within the last year itself, Singapore REITs have been the second best performers in the last year in Asia, giving roughly a 45% return. On the flipside, there’s always also a risk that goes with any investment vehicle. Consider interest rate movements and financing risks of REITs, country risks it face in the neighbouring zones and beyond, rental markets movements and so many other consideration. If you’ve always wanted to have a stake in the property market it Singapore, this it your best bet. However, I have to just note that I’m not selling at advice or giving investment tips. I’m merely stating they’re good, and also that, right now, REITs are expensive. But as the saying goes, something that is expensive now, can get more expensive later. So read up and make your own decision, I’m just introducing REITs to everyone here.